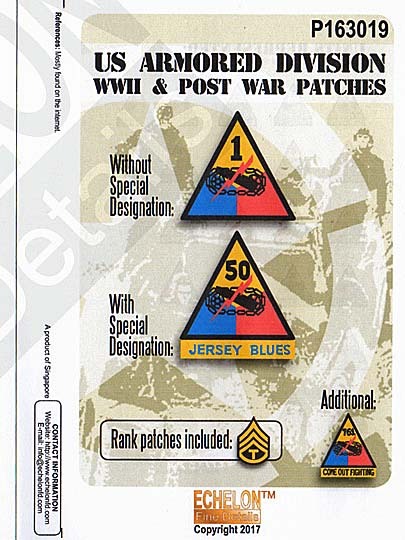 US Armored Divison Patches, for WWII and Post War periods, comes with and without names. 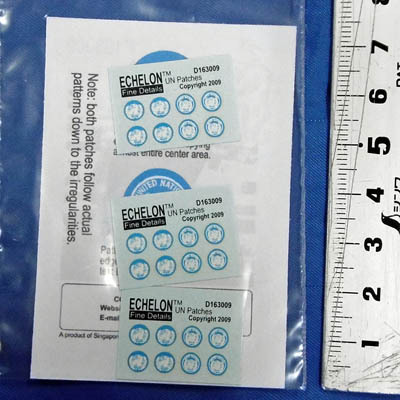 All patches have a bit of irregular look and feel - due to natural embroidery / weaving patterns they not supposed to look too perfect in the first place. 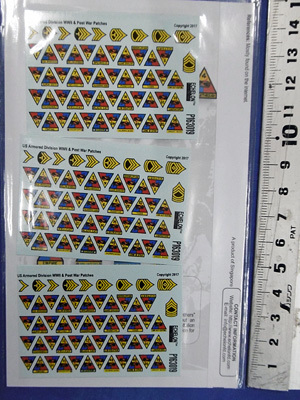 The outlines of unit numbers are based on actual examples. Same goes for the names / special designations / nicknames bar. 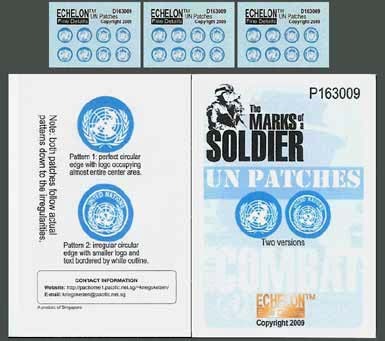 Rank patches included. 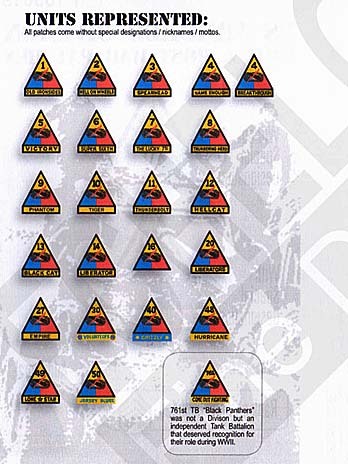 Although not divisional level, the 761st Tank Battalion patch is also included, since they shared the same tri-color patterns. 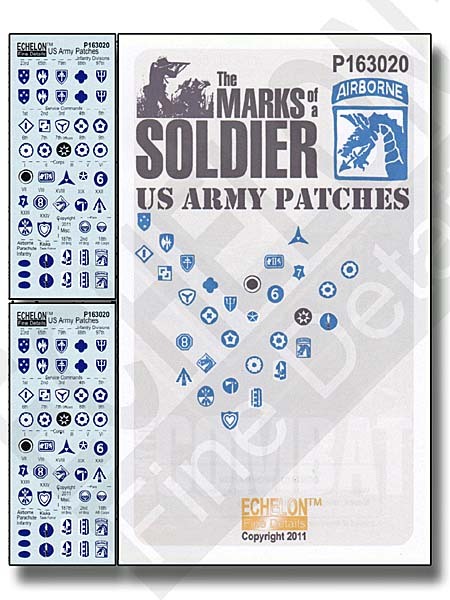 US Army Patches - all the unique and unusual patches ever embroidered in white, blue and/or black.